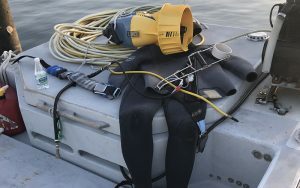 SANTA BARBARA, Calif. – Boats bobbed on a gentle current as Jeff Maassen, a sea-urchin diver for 30 years, filled up his fuel tank at the wharf. He waved to fellow fishermen, then set out for the Channel Islands off Santa Barbara, where he would dive for the next few days. Maassen harvests red sea urchins, which he sells to processors in Oxnard, Long Beach and Los Angeles. Sushi restaurants prepare the urchins as uni, a delicacy that comes from the meaty gonads of red sea urchins. But Maassen and other divers aren’t harvesting as many red sea urchins because climate change has raised ocean temperatures, allowing the purple sea urchin to thrive along the California coast. Purple sea urchins, which are not harvested for human consumption, devour the kelp forests, leaving nothing for red sea urchins. “We’re seeing more El Niños. We’re seeing warmer water currents dominating our coastal ecosystem, and that’s changing everything as we used to know it,” Maassen said. Jenn Caselle, a research biologist at the Marine Science Institute at the University of California, Santa Barbara, said California coastal waters have experienced a devastating loss of kelp forests. That affects the entire underwater ecosystem, she said, because it provides food and homes for a variety of marine life. And kelp is the main food source for red sea urchins. “The Northern California coast has taken a beating, and the kelp loss is almost 100 percent,” Caselle said. In 2016, California’s statewide red sea urchin harvest dropped to a new low of 5.3 million pounds – the lowest since the 1970s. 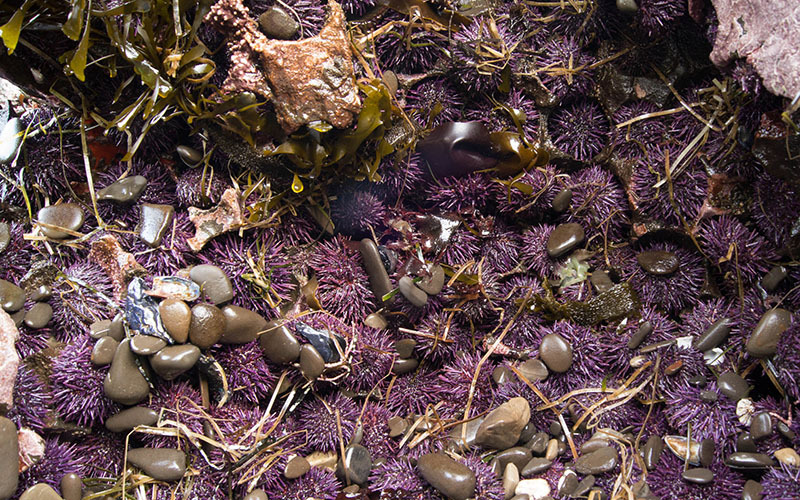 In October of this year, the California Department of Fish and Wildlife approved a 90-day extension that increased the bag limit of purple sea urchins from 35 individual urchins to 20 gallons in Sonoma and Mendocino counties. 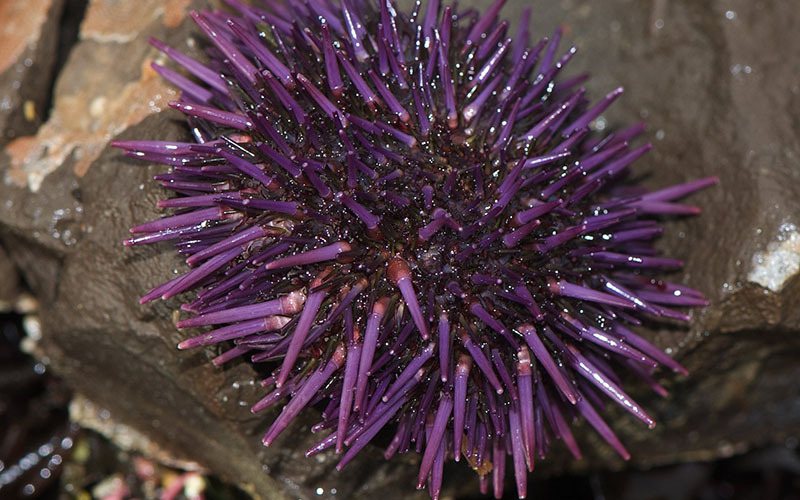 Although efforts to manually remove purple sea urchins are underway in Northern California, Caselle and Maassen stress that collaboration between researchers and fishermen is vital to the red sea urchin’s survival. “Fishermen have a huge wealth of natural history knowledge and knowledge about their fishery and knowledge about the organisms that they’re fishing, and scientists would do well to listen to them,” Caselle said. Maassen hopes Fish and Wildlife and local scientists can find solutions to save the red sea urchins. “It would break my heart if I couldn’t do it anymore,” he said.